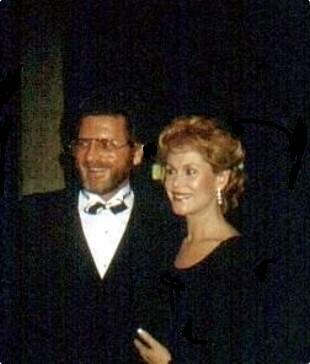 Elizabeth & Husband Robert Foxworth. Actress Elizabeth Montgomery and fourth husband, actor Robert Foxworth.. Wallpaper and background images in the 엘리자베스 몽고메리 club tagged: elizabeth montgomery actress robert foxworth actor photos. This 엘리자베스 몽고메리 photo might contain 신사복 and 비즈니스 정장.